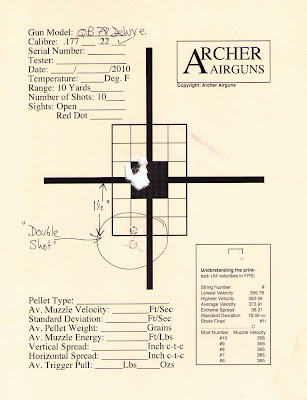 Archer on Airguns: Don't try this with your QB78, folks. Anyhow, I had fired eight pellets with this .22 caliber QB78. The muzzle velocity was in the 500 - 510fps range for these shots and then - all of a sudden - there was a 290fps reading. WTF????? So, I looked at the target and you can see the results below. I had double-loaded this QB78 and the gun fired both pellets at once. 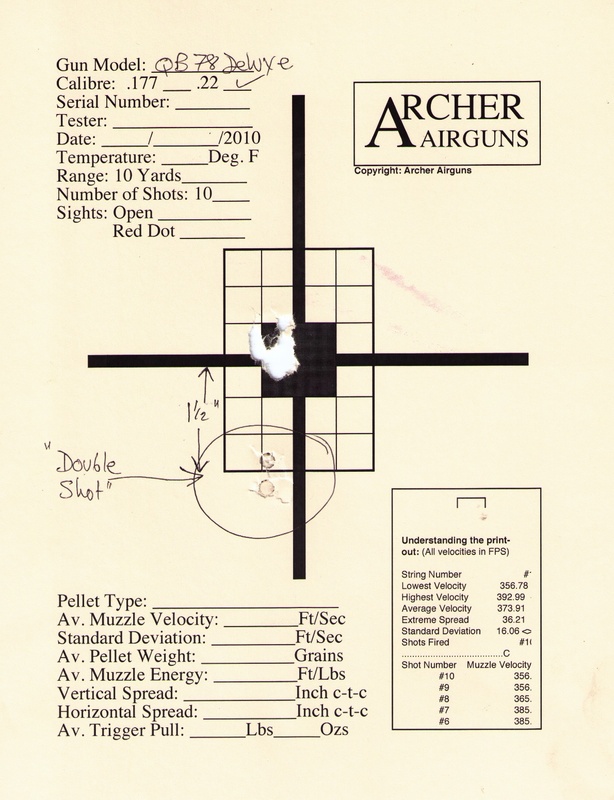 The result was the 290fps reading from the Chrony and the impact of two pellets about 1 1/2-inches below the impact point of the main group.